I’m not so offended when I’m in Central America or Southeast Asia and a shopkeeper or taxi driver shortchanges me. I point out their mistake, they laugh uncomfortably and apologize, and I give them the benefit of the doubt. These people aren’t very educated; maybe they’re just bad at math. No big deal. In China, however, the attitude of the salesperson is a bit different. (I will now proceed to make sweeping generalizations based on my own limited experiences.) Vendors become visibly angry when I politely ask for the correct change, as though I were taking food from their children’s mouths. And Chinese people are good at math, so I know they’re trying to screw me on purpose. I concluded that China just has a culture of unrestricted thievery. The inside of a state-owned pharmaceuticals plant. 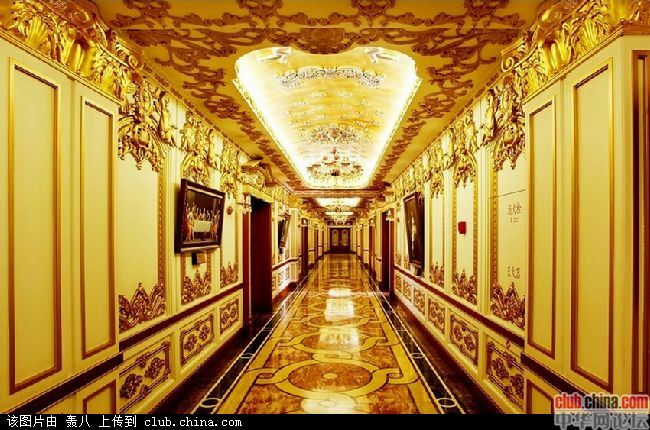 Corridors have gold foil inlays. This article explains the mechanisms of how it all works and how the lower class enables it. I was even more impressed that something coherent actually came out of Sydney. And I used to live in Bronte.